Social media communication has gained massive impact on our day-to-day life. Particularly affected by this are professional and private decision-making processes, which enable new forms of public discourse. The occurrence of fake news, social bots, and presumed echo chambers raise questions that pertain to how we create a coherent society. Therefore, it has become imperative to investigate such phenomena by means of sophisticated analysis techniques. Professor Stefan Stieglitz from the University of Duisburg-Essen and Karsten Kraume from Arvato CRM Solutions discuss the importance, applications, and future prospects of Social Media Analytics (SMA). Mr. Kraume, fake news, rumours, and malicious bots spreading on social platforms threaten the integrity of businesses and individuals – at least in the public eye. How serious are such phenomena? Karsten Kraume: The phenomena are real and should therefore be taken seriously – in both public and private sectors. For example, opinion leaders on the Social Web can have a lasting influence on the brand reputation of companies. At the same time, these developments also have an operational impact. Due to social media, consumers have gained considerable power: they are enabled to share their opinions about a product or service online with a large audience. This can have both positive and negative effects on a brand. Customers can, for example, express themselves positively, so that the company benefits if this post achieves a high reach online. Or they may be negative and the company is forced to take action to minimize the negative impact of such a posting. There are many different examples for both cases. For example, the song “United Breaks Guitars” by the Canadian musician Dave Carroll has so far achieved a total of around 18.5 million clicks on Youtube (as of December 2019). In the song, Carroll describes how his guitar was destroyed during a United Airlines flight during baggage handling and criticizes the customer service of the US airline. Whatever customers say online, companies should be interested in managing the social media conversations. So, how do we meet those challenges? Karsten Kraume: As in other areas of Customer Service, there are various possibilities here as well. Some brands have decided that social channels are a core competence of their company and cover customer service internally via social media. Others decide to outsource the task and commission strategic partners with social media communication. In addition, there is a hybrid approach where, for example, you look at the value chain. This combines social analytics, social sales and content moderation. As the leading BPS provider in Europe and with a portfolio that ranges from voice to non-voice channels, we at Arvato offer various variations: from end-to-end services to individual services. The bottom line is that it remains important to offer a holistic customer journey across all (social) channels – regardless of whether the customer communication is carried out internally or via an outsourcing service provider and by a person or a bot. Professor Stieglitz, oftentimes social media produces an overload of information. 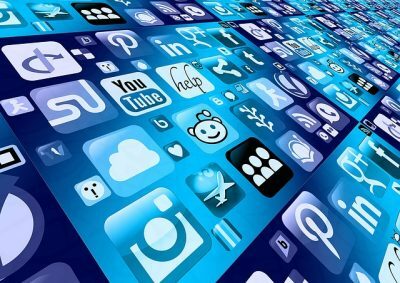 What exactly is Social Media Analytics (SMA) and how can it help to reduce the complexity of social media data? Professor Stieglitz: Basically, our SMA approach involves four distinct steps: data discovery, collection, preparation, and analysis. The perspective on the characteristics of the platform that is being analysed is one important aspect. Another important component is the perspective on the users who create the content. When using SMA, we explore different roles within the communication and the effects a respective role can have on the communication and the diffusion of information. Influencers or opinion leaders, for example, can be identified through a social network analysis, and by examining their follower network, one can reveal the reach of such an individual. Another technique as part of SMA is using sentiment analysis to determine the prevailing sentiment or opinion a user (group) has toward a certain message or actor. One of the application fields of Social Media Analytics is crisis management. How can research help disaster response organisations to face up to challenges coming with social media use during crisis situations? Professor Stieglitz: Today, social media platforms are essential communication channels during crisis events. All kinds of societal roles such as individuals, emergency management agencies, NGOs, and media use social platforms to seek and share information. In most cases, people use it to simply share their experiences or knowledge, to organise help, and for emotional support. Disaster response organisations use social media to provide trustworthy information, to share warnings, and to engage with the public. The biggest challenge for each of those communication participants is it to make sense out of the oversupply of information. Here, determining what piece of information is accurate is a crucial task. Research on this matter can help to identify patterns that repeatedly occur in disaster communication. This knowledge may help those involved to develop more effective filtering, broadcasting, and engagement strategies. Mr. Kraume, professionals and businesses may expect different outcomes from implementing SMA as opposed to a researcher who pursues a more theoretical research question. What can industry and scholarship learn from each other when it comes to analysing social media data? Karsten Kraume: The interplay of scholarship and industry can be advantageous for both sides. We have experienced this on several occasions in the past. On the one hand, industry brings relevant application examples with it and can ensure the practical relevance of the research. On the other hand, new methods and algorithms developed in the academic environment can enrich the solutions offered by companies. In the past, we have joined forces with research in various programs, such as RISE_BPM, an EU-funded project that focuses on the development of future perspectives for Business Process Management (BPM). The focus here is on four areas: Big Data, Real Time Computing, Smart Devices and Social Media. In another case, we have specifically looked at social media in aviation. Professor Stieglitz, what are the objectives of RISE_SMA and how do you plan to approach them? Professor Stieglitz: RISE_SMA forms an interdisciplinary and international network that combines excellent scholars and practitioners. Our goal is to enable them to share their knowledge and to develop solutions for challenges, e.g. in political communication or disaster management. We use advanced theoretical approaches and methods to analyse social media data and primarily address two domains: society and crisis communication. The project will start of in January 2019 and runs over a period of 4 years. Mr. Kraume, what will be the role of Arvato CRM solutions in RISE_SMA? Karsten Kraume: Social media channels already have a special meaning for us. Demand is growing both in the new digital business and in our core business. People and artificial intelligence work hand in hand in our company. This is how we continue to drive digital innovations forward. RISE_SMA complements our efforts and as part of the advisory board we will closely follow and help shape the research project. Looking ahead, what do you think will be role of SMA in 5-10 years from now? Karsten Kraume: The significance of social channels will have increased even further compared to today. Automation will play an important role. This is why it is so important to collaborate with RISE_SMA and other scientific initiatives with a strong application focus – such as the Social Media Competence Center at the European Research Center for Information Systems (ERCIS) or the Confederation of Laboratories for Artificial Intelligence in Europe (CLAIRE). Together, we will research and help shape where social channels are headed in the future. Stefan Stieglitz is professor and head of the research group for Professional Communication in Electronic Media / Social Media at the University of Duisburg-Essen, Germany. His work has been published in reputable journals such as Journal of Management Information System, Business & Information Systems Engineering, International Journal of Information Management, and MISQe. 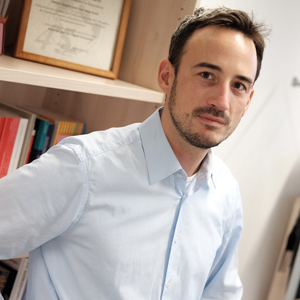 In his research he investigates Social Media Analytics in various domains such as business, politics, and crisis communication. 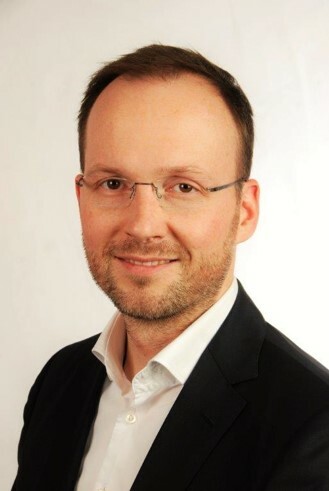 Karsten Kraume is Arvato CRM Solutions’ CIO/CSO and represents Arvato as a member of the advisory board at the European Research Center for Information Systems (ERCIS) and research programs such as Business Process Management RISE and RISE Social Media Analytics. ⟵New Call for MSCA RISE – Apply Now!